Thought about the "Ichiya Kanjyo (Shrine maiden only for one day) Festival"
I named my work "Digital Ukiyo-e" that is the registered trademark of Japan Patent Office. 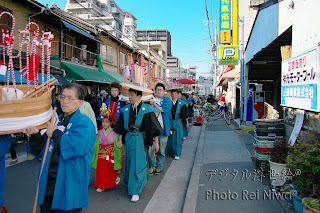 I go to shooting the "Ichiya Kanjyo (Shrine maiden only for one day) Festival" as the intangible folk cultural assets of Osaka Prefecture in 19 to 20 February every year at Nozato Sumiyoshi Shrine. 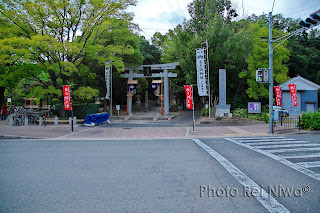 There is a shrine in the residential area walked about 10 minutes from JR Tsukamoto Station. And I join the main member of shrine parishioner I participate in making ambrosia every year. 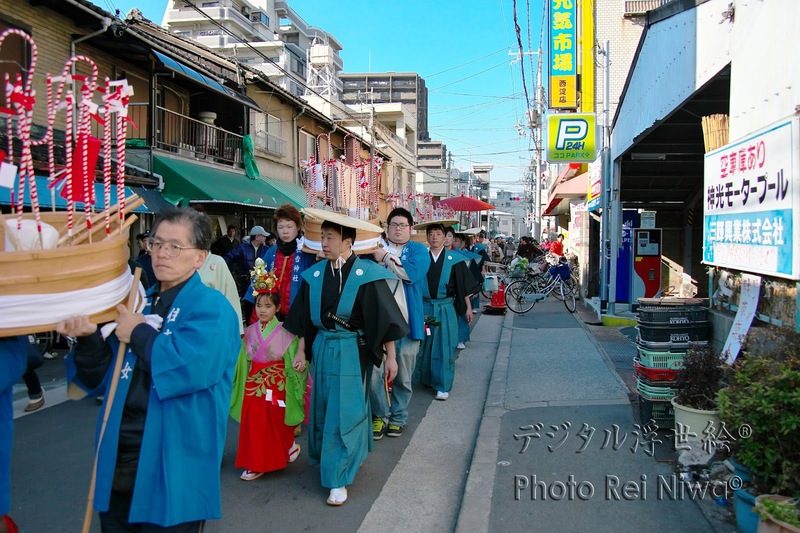 This festival became the subject of the novel of Ryotaro Shiba. There is "Ichiya Kanjyo (Shrine maiden only for one day) Festival of Nozato" what is one of the Ukiyo-e series "Famous floral calendar of the Naniwa" had been made by Yoshitoyo Gansuitei (? -1866) lived in Naniwa (old name of Osaka). He was a disciple of Kuniyoshi Utagawa and he used the Utagawa family name sometime. I was surprised that they don't know that old Ukiyo-e in festival of this year. I think from that old Ukiyo-e that state of the festival is much the same of old time. 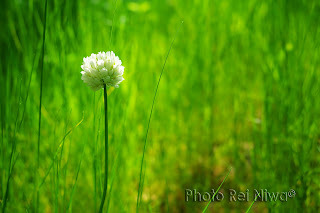 It is very difficult to do the succession of the traditional culture, so they have to watch a past record. Osaka changed to attract attention globally, after 2025 Osaka Expo holding decision. I think that one of the most attracting attention things from the world is what we succeed an intangible cultural asset as some life in the present age. I hope that this intangible cultural asset is succeeded to from now on every year. I continue help of the traditional culture succession. Order number, Your Name and Address, Phone No. After I will send that invoice by email. This page was last modified: January 16, 2019.